To review, voters in Boulder City will be casting their votes for the Candidates for City Offices. You can read more about some of them (those who submitted their personal bio) on the City’s web site HERE. 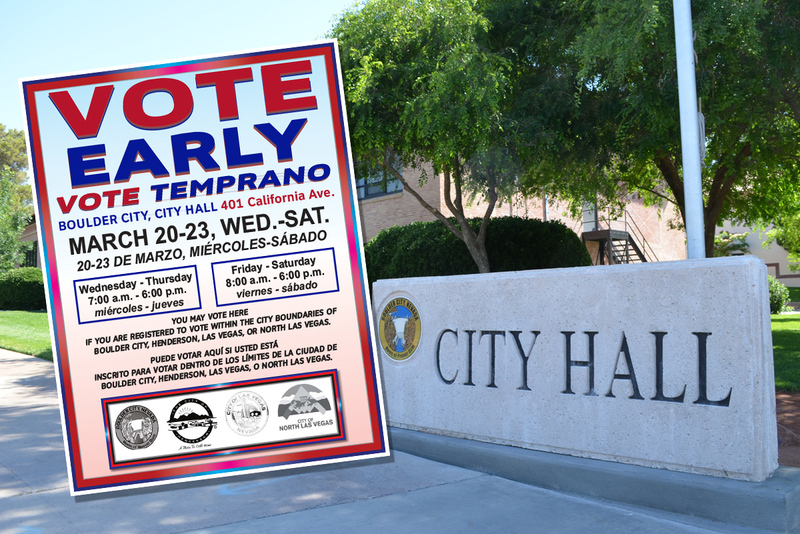 Early voting ends on Saturday, March 23rd at 6pm. Remember, if you miss your chance to vote on any of these days locally, the official Primary Election Day is Tuesday, April 2nd. If any of the above candidates receives more than 50% of the vote on this first Primary Election phase, then that candidate will be considered the winner of that particular seat – be that for Mayor, or one of both of the two City Council seats. We know folks are itching to cast their ballots – so let’s see a big turn out from Boulder City on these important municipal elections over the coming two weeks!